What is the MINDBODY® app? The MINDBODY app® is a free mobile app that links you to a worldwide network of MINDBODY businesses. You can browse classes, book appointments, and buy passes from opted-in businesses in your area. If you've added a credit card to your account, or received a gift card from the business, you can even pay before you arrive. If you need help syncing your profiles, click here. How do I download the MINDBODY® app? You can download the app by searching for "MINDBODY" in the App Store, or using this direct link. iOS 7.0 or newer must be installed on your mobile device to use the MINDBODY® app. If you're unsure which version you have, or need instructions on updating your operating system, click here. How do I create a MINDBODY® app account? You'll need to register a new account when using the MINDBODY® app for the first time. This is necessary even if you've already created an account with a local MINDBODY business — your MINDBODY app profile is only used on your mobile device. When signing up, make sure to use the same first and last name that you use at MINDBODY businesses. In order to automatically sync your accounts, you'll want to use the same email address as well. If you choose to use a different email address, then you'll need to manually sync your accounts. Click here to learn how. Launch the MINDBODY app and select Or continue with email. Enter a password, then tap Next. Enter your first name, last name, location, and email preference, then tap Create Account. Now, simply log in to your email account to confirm your address and sync your MINDBODY accounts with the app. Your MINDBODY® app account is separate from the profile you use with your local MINDBODY business. This means you must register a new account when using the MINDBODY app for the first time. When signing up, make sure to use the same first and last name that you use at your local business. In order to automatically sync your accounts, you'll want to use the same email address as well. Once you've created your new account, we'll send a verification email to the address you've provided. Simply click on this link to sync your MINDBODY app account to your local profile -- this will add the business to your Favorites list and allow you to access all of your existing passes. 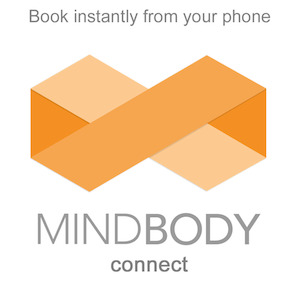 With the MINDBODY® app, you can book an appointment with your favorite business right from your mobile device. And if the business permits it, you can use the app to pay for your service before you arrive. Find a business you'd like to visit. Tap Schedule on the the Business Details screen. Tap on the Appointments tab, then choose an appointment category and a specific service. Select the desired staff member. Tap Complete Booking to book your appointment. Squeezing your appointment into your busy schedule? Just select your booked appointment from the 'My Schedule' section of the app, and tap Add to Calendar. You can streamline this process by enabling automatic calendar syncing in the app. The MINDBODY® app allows you to book classes, appointments, and single-day events with MINDBODY businesses from your mobile device. If needed, you can cancel these reservations through the MINDBODY app as well. Tap Schedule at the bottom of your screen. Choose an upcoming class or appointment you've scheduled. Tap Cancel Class at the bottom of the screen. Why is there no Cancel Class button? If you're trying to cancel a class, and the Cancel button is missing, this means the business does not currently accept cancellations for your service. You'll need to speak to the business directly to discuss what options they can offer you. Cancellation terms are set by each business, and may vary by location. Depending on your studio's policies, you may still be charged for cancelling a visit. In these instances, the MINDBODY app will let you know if a penalty applies prior to completing the cancellation. For questions concerning attendance and cancellation policies, please contact the business directly. How do I review a class or appointment? The MINDBODY® app allows you to leave ratings and reviews for the services you attend with local businesses. When your scheduled class ends, a notification will pop up and ask you to share your experience with the MINDBODY community. Don't have time to leave a review while at the business? Just pull up the My Schedule screen, and you can rate all of your past classes from the comfort of home. You'll need to enable notifications on your phone to receive the Ratings and Reviews prompt. You can still review classes with this setting disabled, but only from the My Schedule screen — see the Reviewing a past class section below. Tap More at the bottom of your screen. Tap Reviews; reviews are enabled when the switch is slid to the right and orange. If you dismiss the review notification at the end of class, or choose not to enable notifications at all, you can still review the classes you attend. You can even review past classes you signed up for in the studio, or through a web browser. This works for appointments too! Tap History, then choose a service. Tap on Leave a Review or a star rating. Choose a rating (required), leave a review (optional), and tap Submit.